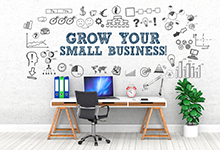 Surveys show that small to medium-sized businesses (SMEs) are not fully aware of the potential that technology and digitalisation offers them. A local SME had shown steady growth but still could not afford to take the next step to achieving critical mass – for example, it needed to appoint support staff to handle the additional workload as it found it difficult to anticipate and react to the rapid changes in its industry. However, it didn’t have the cash flow to bring in new staff. It decided to embrace technology. This began with online accounting which it can pay off monthly and is relatively inexpensive. The second change was to use a database to be able to quickly analyse trends with its customers, so it could have a better understanding of their activities, plus proactively propose deals to them. This worked well, but what really surprised them was that the database enabled them to store all of their records online. This meant ease of access for staff and allowed management to quickly ensure that all customers were correctly updated. This time saving was so significant that the business did not have to recruit new staff and was able to significantly grow its administration capacity. The business is now growing rapidly without the usual cost increases and working capital problems. More importantly it has given the organisation the confidence to proceed further down the road of digitalisation and continue to progress towards achieving the critical mass which will make the organisation rapidly expand its wealth. Put digitalisation at the core of your strategy with senior management embracing it. Often, a digital champion is appointed but this is not ideal as this champion can operate in a silo and disappear down it. If our doctor tells us we need to take medication for, say high blood pressure, we take it to avoid having a heart attack at some future date. Technology is a similar challenge and if we don’t embrace it, rivals will. And they will soon overtake us. Integrating digital technology into your systems and processes can enable you to leapfrog to a higher level. Remember the majority of global giants such as Amazon and Apple leveraged technology to grow. Improving speed to market, agility, better customer understanding and cost control can be achieved by clear focus and effective leadership. 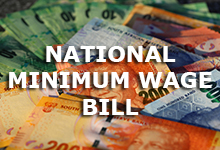 The new minimum wage provisions, originally due to start on 1 May but now reportedly facing delay due to the high number of submissions received from the public, will affect us all significantly. Assuming that the National Minimum Wage Bill’s provisions are enacted in substantially their current format, from implementation just under half of the current labour force will see their wages increasing. This will add approximately R70 billion per annum into the economy. It will be compulsory for all employers to pay workers R20 per hour or R3,500 for a normal working month (that’s for 40 working hours a week – at 45 hours a week it comes to R3,900). Businesses that cannot afford to pay the minimum wage may apply for an exemption but this cannot be for more than twelve months. There is scope in the legislation to “make regulations” as to how the exemption process will work. Possibly, government is waiting to see how the process unfolds and may then introduce specific exemptions. 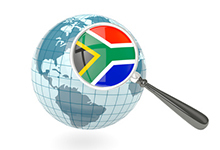 South Africa has two large structural problems – unemployment and inequality of incomes. The minimum wage is intended to strike a balance between those two in which inequality will decrease but unemployment will presumably be unaffected. There is however no hard evidence as to whether a minimum wage will improve social justice and grow the economy in a developing economy. South American countries have in the last decade instituted minimum wages with mixed results. 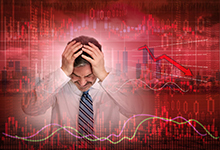 Brazil, for example, initially saw an upswing to its economy but within a few years slipped into a deep recession. In South Africa, there is one minimum wage and it is possible that some sectors will react differently. Clothing workers for instance currently earn half of the new minimum wage and have already suffered substantial job losses in the past twenty years. Although concessions have been made for farm workers and domestic workers (they will earn 90% and 75% of the R20 per hour respectively), a more nuanced approach could have reduced potential job losses. Some economists predict that unemployment will rise from 9.2 million currently to more than 10 million workers out of jobs. Overall, it is possible this will help the economy at a macro-level. Those in favour of a minimum wage cite the grant system which gives a basic income to more than 11 million people. It was one of the contributors to the boom of 2003 to 2008. Critics contend this is a different funding model – grants were funded by government whilst the minimum wage will be paid by employers. It seems that it will soon be a reality though, so we all need to be ready for it and let’s hope it has a positive impact on the economy. There will be substantial benefits for the country if it is accompanied by a productivity surge. There are no major deadlines for April but don’t forget that your EMP501 Employer Annual Reconciliation Declaration is due by 31 May. Make sure you are prepared for this lengthy exercise. The Special Voluntary Disclosure Program or SDVP was released in response to the worldwide sharing of information by tax authorities. If you are wondering how it turned out, SARS will collect R3.3 billion from this in the 2017/18 tax year.